Shinwa Black Viper Katana And Scabbard - 1045 Carbon Steel Blade, Genuine Rayskin, Brass Habaki, Cast Metal Fittings - Length 39 1/2” | BUDK.com - Knives & Swords At The Lowest Prices! 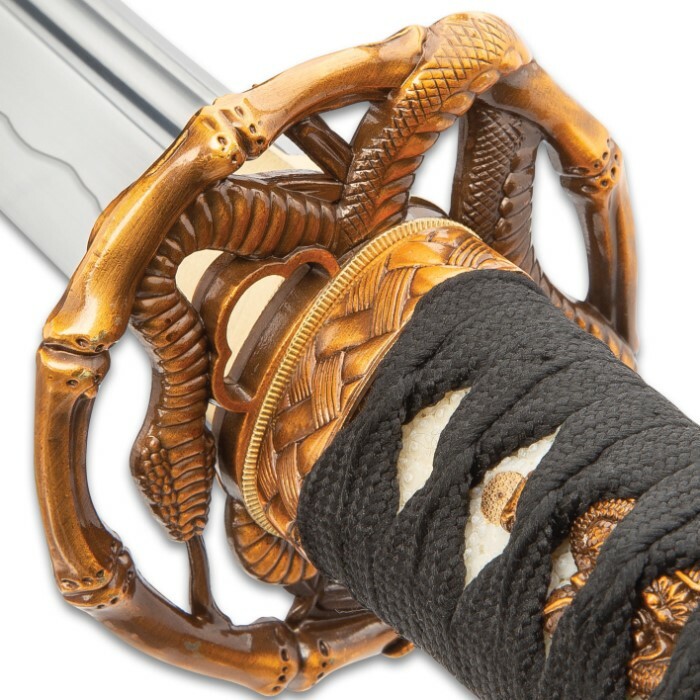 Our Black Viper Katana, crafted by the expert swordsmiths of Shinwa, is another fine example of the artistry you only get with a hand-forged sword. 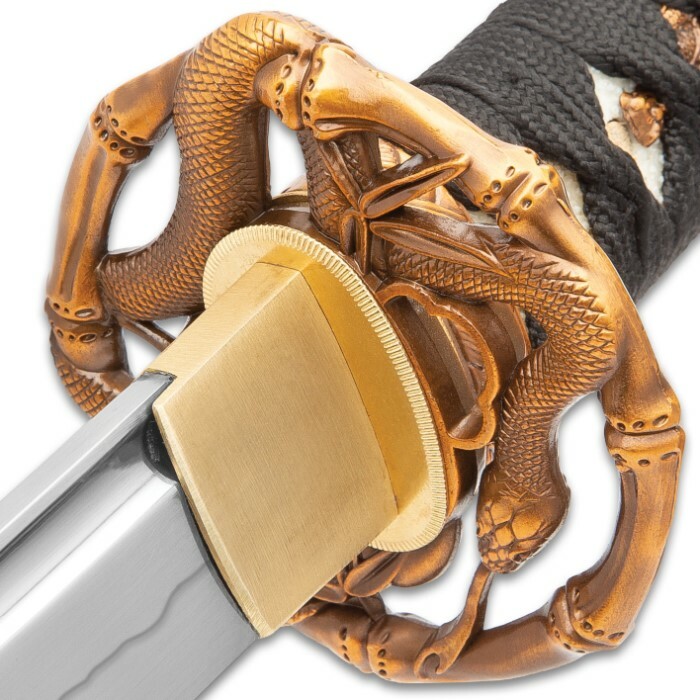 From the cast metal circular tsuba, that’s a copper-colored masterpiece with an intricate serpent theme, to the matching serpent menuki, placed under the traditional wrapping, it is absolutely gorgeous. 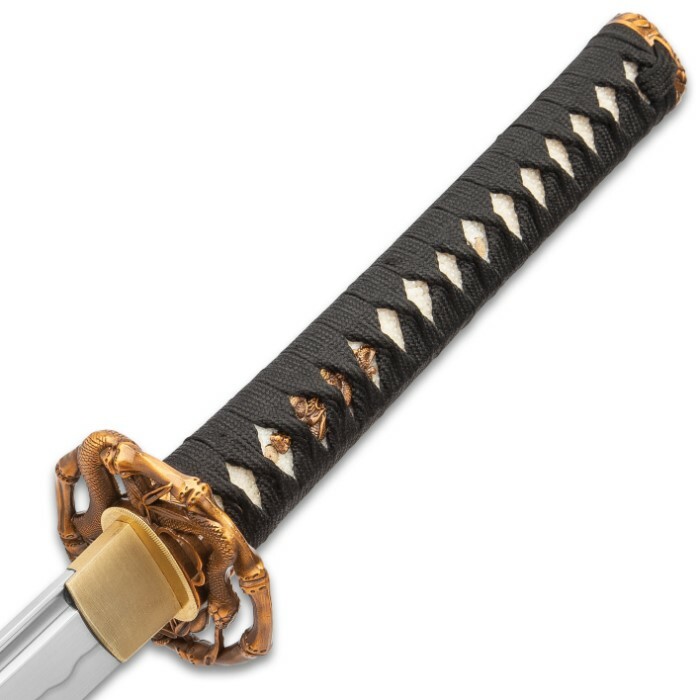 The katana has a sharp, hand-forged 28 1/2” 1045 carbon steel blade that extends from a brass habaki and you can see the distinctive hamon line. 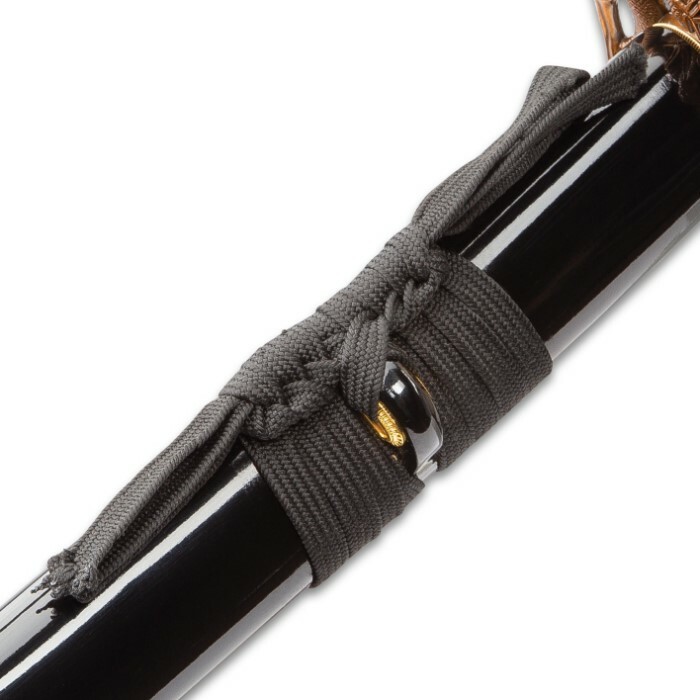 The wooden handle is traditionally wrapped in genuine white rayskin and black cord-wrap and the pommel is cast metal with a woven design. 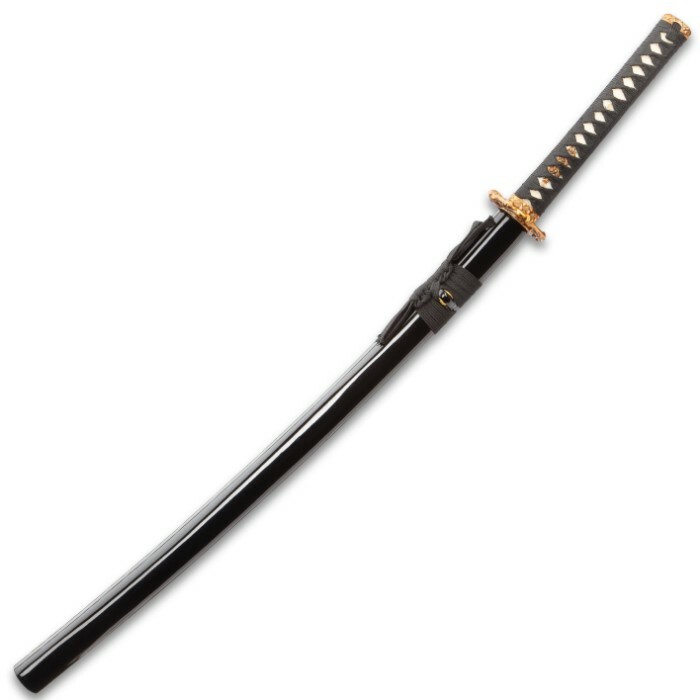 The 39 1/2” overall katana slides smoothly into a lacquered black, wooden scabbard with a black cord-wrap accent. 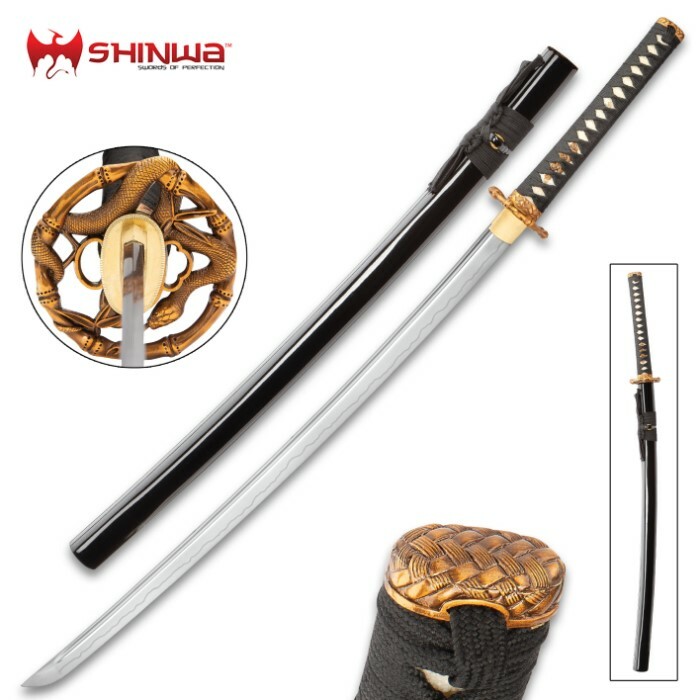 ordered this sword and am very happy with the quality! Sharp and Solid!